Put this one in the super-easy-yet-effective column! 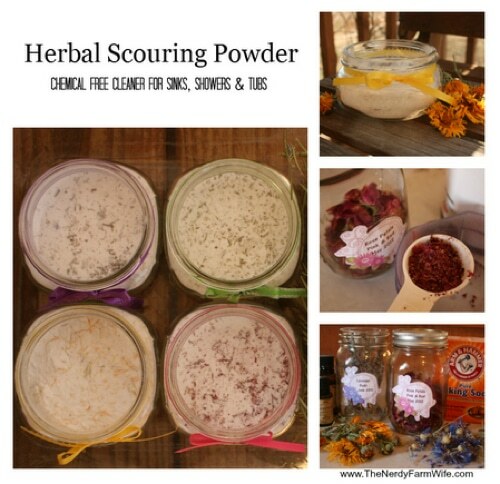 Flowers, herbs and just a bit of good ‘ol baking powder will take you most places any commercial scouring powders will. Now you can mix these potent cleaners safely without worry of chemicals and additives. You probably already have everything you need lying around the house, so why not get started with your Spring Cleaning this weekend?